Maussane-les-Alpilles, a firm favourite stopping-place for foodies ! Here exceptional products are farmed, bred and transformed with love by generations of provençal people. Taste the local products in our restaurants, on the local market, in open-to-the-public farms and orchards and in our groceries. 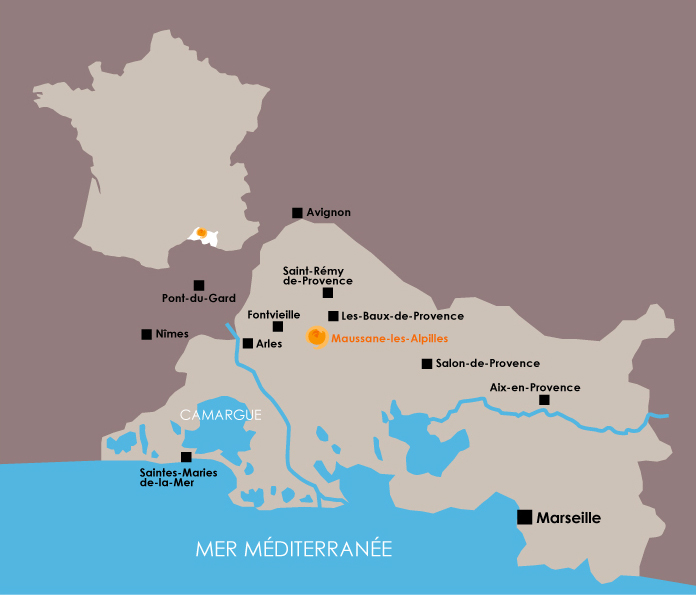 In Maussane les Alpilles, almost 30 farmers practise organic farming or an integrated farm management. Keen professionnals transform and sublimate these exceptional products. They commit to share their passion, their know-how and lifestyle with you. Discover their specialities in theirworshops, farms or during the « Welcoming Parties » organized by the Municipality in summer time.